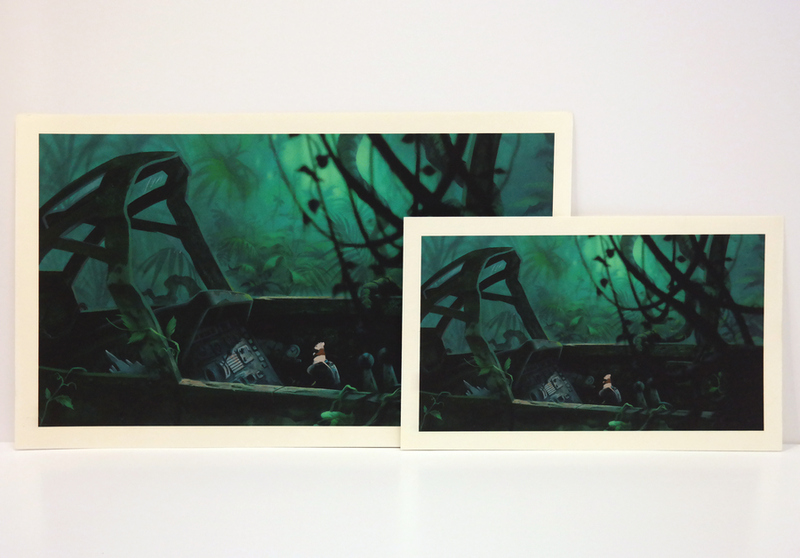 7.75" x 13.5"; 11.75" x 20.5"
This is a set of two original reference prints from the Walt Disney Studios production of The Rescuers Down Under (1990). 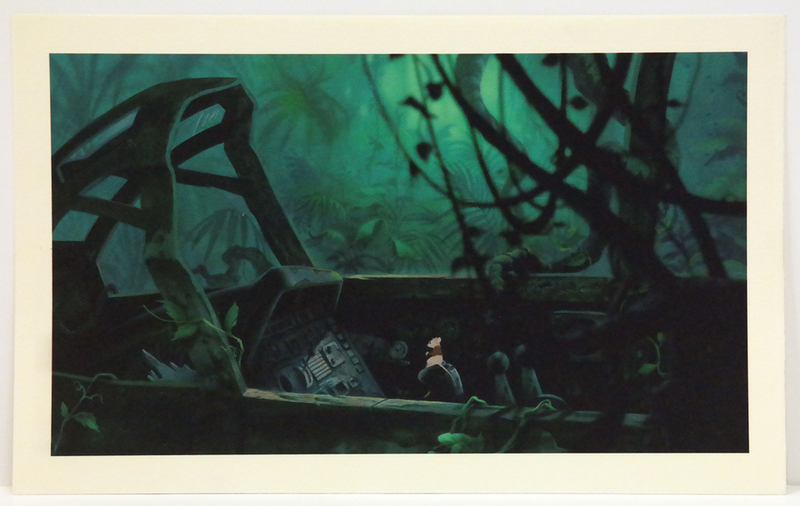 These gorgeous full color prints feature one of the Rescue Aid Society activists inside of a broken plane for communications, and were created at the studio and used during the production of the film. This film was the first feature film at the studio to use computer animation. These prints were created by the studio's CAPS department to test the color correction and color matching of the computer animation compared to the hand animation. The overall measurements of the pieces are about 9.5" x 15"; 13.5" x 22" and the images measure 7.75" x 13.5"; 11.75" x 20.5". 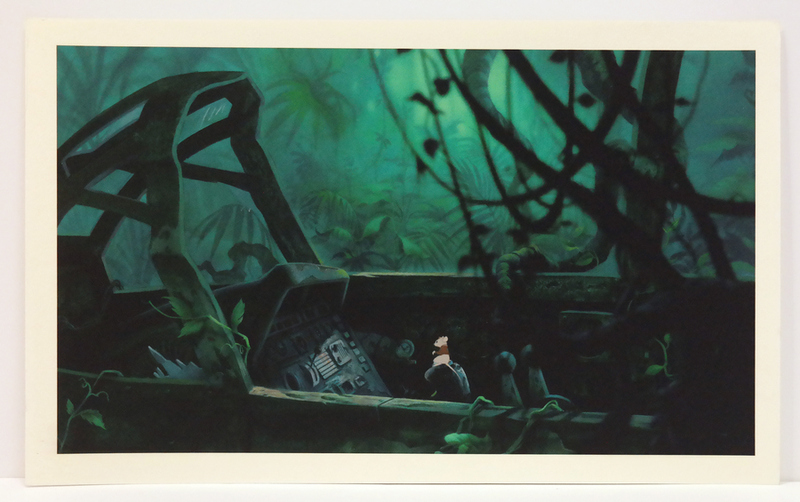 The prints are high quality Iris Print on heavyweight paper that are in excellent condition.